When Laurie meets the vampire she finds out what she's really hungry for . . . and nobody, not even the vampire himself, is going to stop her from getting what she wants. Blood and Guilt is a paranormal short story (4,000 words). Contains some language, violence, and mild sexual situations; ages fourteen and up. Available now on Amazon.com and Barnes and Noble. Cutting a deadly swath through the midwest, a killer finds pieces of himself in the victims he chooses. 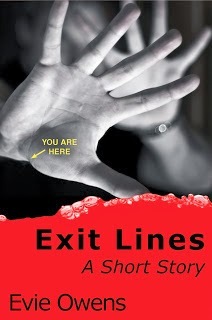 From the author of Blood and Guilt, Exit Lines tells the story of what happens when a killer reaches the end of the road . . . This is a short story (approx. 6,000 words). Contains some language, violence, and sexual situations. A Writing Process Blog Tour!